What’s that in the air? Do you smell a forest fire? Is someone stealing your honey? Is a little blonde girl breaking into your house to judge the temperature of your porridge and the firmness of your mattresses? (Who does she think she is anyway?) With this Bear Nose, you’ll be able to sniff out any trouble and have a ‘beary’ (sorry) fierce look to set things straight. Keep one on hand last-minute costume needs––pair with brown sweats and you’re ready to go. 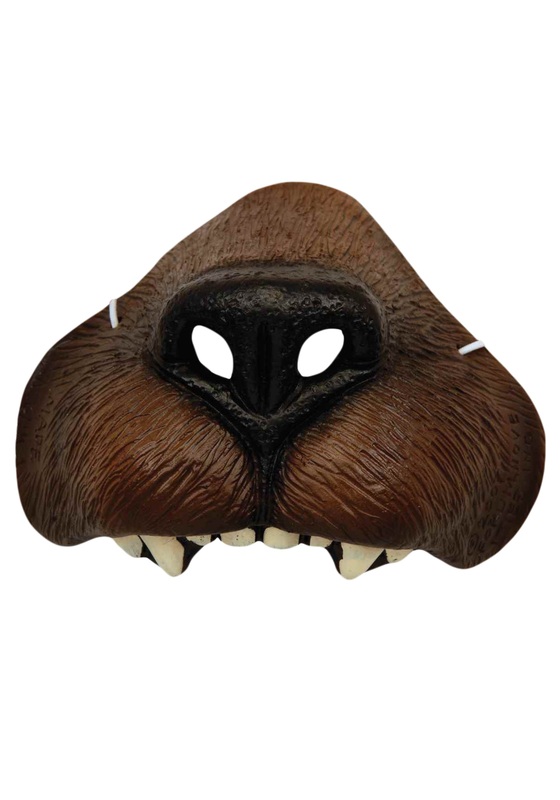 Check out all of our animal nose costumes. This Bear Nose will complete any bear costume or just spice up Casual Friday. “Lookin’ good! Did you get a haircut? Something’s different, don’t tell me…” You’ll never know if it’s really that subtle or they’re flattering you, but one thing’s for sure: it’s the Bear Nose that made all the difference. It smelled and was uncomfortable.